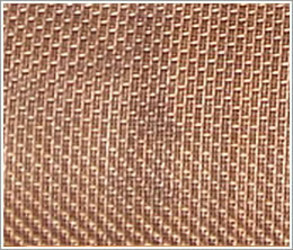 Raj filters is a one of the leading manufacturer and supplier of copper wire meshes. These are woven using copper wires of 99.9% Cu purity. Electromagnetic and thermal conduction properties. Low tensile strength , poor wear and tear . Darkens after a period of time. Brass is a better option for copper wiremesh as it posses the same properties with better durability . Decoration in the construction business. Electromagnetic interface and radio frequency interference shielding.